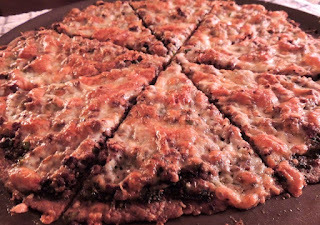 Eat Drink And Be Me: Meatloaf Chimichurri Pizza - recipe! What's for dinner tonight? 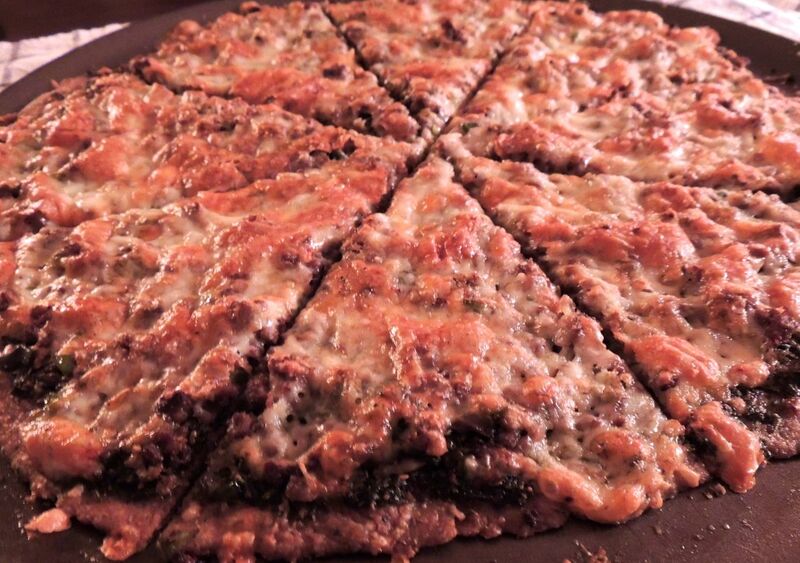 Meatloaf chimichurri pizza. I told you chimichurri is good on everything! This recipe is the perfect way to use up leftover meatloaf. I happened to have some leftover Paula Dean Cheeseburger meatloaf in the refrigerator, so that's what I used. You can use whatever meatloaf recipe you like. Crumble meatloaf in frying pan and cook until browned. Roll out crust and place on a pizza pan. Spread chimichurri evenly on crust. Top with crumbled meatloaf. Then add shredded cheese. Then sprinkle with parmesan. Bake for 10 minutes or until cheese is melted and golden and crust is slightly browned.